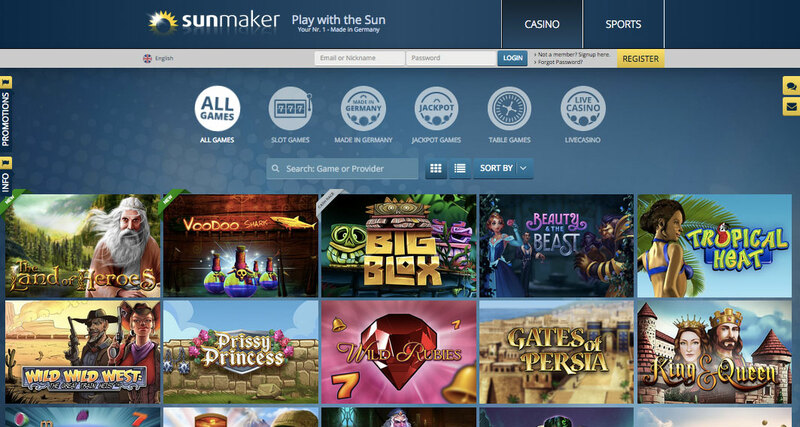 Since 2011, Sunmaker Casino has partnered with Merkur, a leading developer of casino games, which has helped establish the online casino as an industry leader. Merkur is owned and operated by the Gauselmann Group, and the games are licensed and regulated by the Isle of Man, which allows for distribution throughout Europe. This partnership has fostered awareness of the Merkur brand to gamers around the world. Players online now associate Sunmaker and Merkur with exceptional graphics and high-profit options. Of course, Merkur has enjoyed great success in traditional casinos with titles like “Triple Chance” and “Extra 10 Liner”, but this newfound success in the online space has provided numerous advantages. 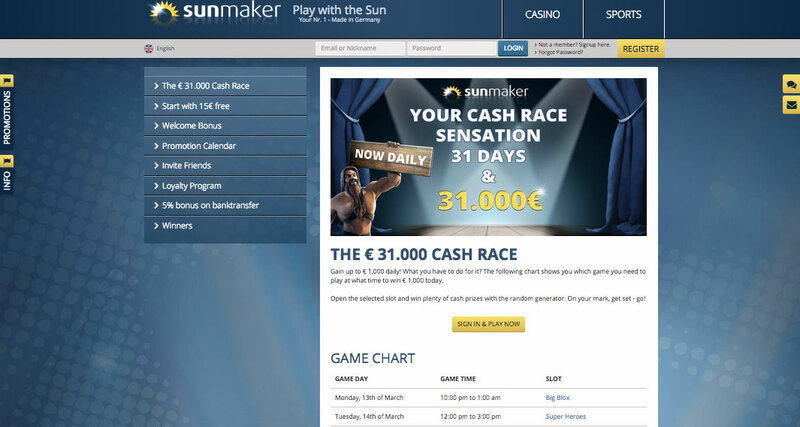 Through Sunmaker, Merkur has been able to entice a new audience with even better odds and more attractive bonuses. The evolution of Merkur to the Internet has been a long time coming, but in retrospect, the timing was perfect, and the collaboration between Sunmaker and Merkur has been a resounding success. 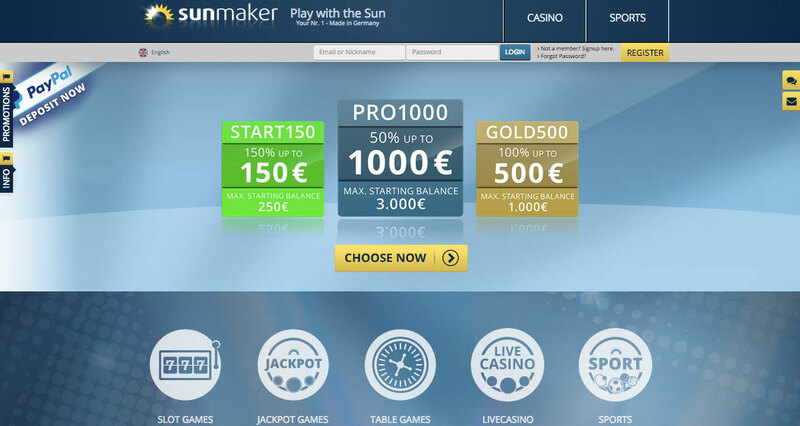 In addition to an extensive selection of Merkur games in Full HD quality, Sunmaker Casino provides its members with a considerable bonus system. 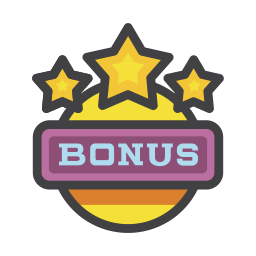 These bonuses are tiered so that casuals and high rollers alike can benefit. In fact, the high-roller bonus is worth as much as €1,000, and the average new member can receive of a 150-percent match of his or her initial deposit up to €150. There’s also a third mid-tier option called “Gold,” which lets new members claim as much as €500. These promotions may change over time but have been in place for years due to how well customers have received them. 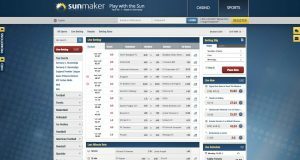 Another nice aspect of this promotional structure is that Sunmaker is very transparent and provides all of the information a player needs as well as tips for picking the right package on the user account page. 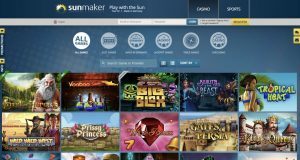 Sunmaker Casino relaunched in 2011 with the goal of making the full lineup of original Merkur games available to everyone in its network. 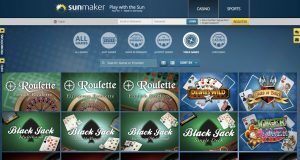 Even before that, and a big reason why the brand was chosen, is that Sunmaker has always stood for first-class slot machines that found a great balance between beloved traditional designs and modern, innovative features. Sunmaker has also done an excellent job of reaching the widest audience possible. In addition to hundreds of slot machines, members will discover a great selection of classic table games, such as baccarat, blackjack and roulette. 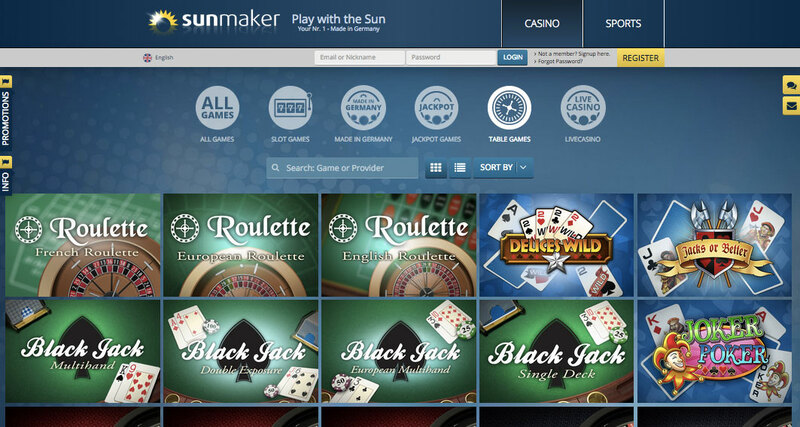 Sunmaker also features card games like poker and has recently added an extensive live casino. There’s no software to download. Most games are instant play, and all Merkur originals are available to play for free. Sunmaker also caters to members who play on mobile devices because they prefer it or travel a lot. One of the great decisions Sunmaker and Merkur made early on was to avoid device-specific support, such as Android and iOS apps, and instead deliver support through the more universal HTML5 platform. Whatever smartphone or tablet a person uses, he or she doesn’t need an app and will simply be redirected to the appropriate landing area automatically when navigating to the Sunmaker site. Another benefit of building with HTML5 is that mobile devices have access to the full range of games that are available via a desktop PC. This provides Sunmaker with a great advantage over many of its competitors, and the Sunmaker platform is very polished allowing for smooth games and fast, reliable transactions. 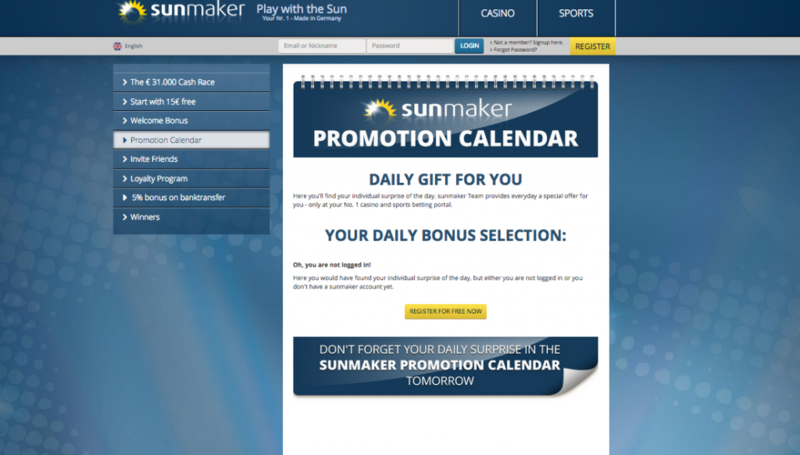 The welcome bonus is not the only way that Sunmaker takes care of its members, and the casino offers a number of promotional opportunities for its long-time clients. 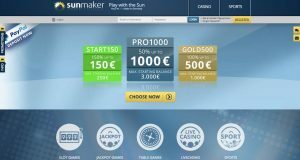 On a regular basis, Sunmaker hosts challenges, tournaments and other special activities that members can participate in, often at no cost, and even win big prizes. Sunmaker also offers a special 5-percent bonus on all deposits made via bank transfer, which is a nice way to increase a bankroll without having to add more money. Sunmaker Casino also takes care of its most loyal clients through a full-featured VIP program. Real-money wagers made at nearly any game in the casino result in loyalty points. Members accrue these points and can then convert them into cash and other bonuses. Loyalty point accrual also has the added benefit of increasing VIP level, and as level increases, members earn and convert points at a more favorable rate. Other benefits include additional withdrawals on a monthly basis. 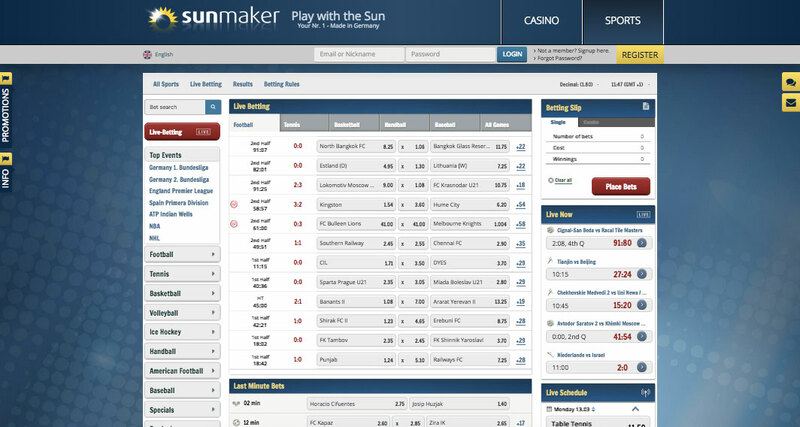 Sunmaker has also done an excellent job making the website easy to navigate. The structure is immediately obvious to newcomers, and whether you want to play some slots, visit the live casino or speak to customer support via live chat, you can accomplish that in just a few clicks. The layout is wonderfully simply, and you’re never bombarded with flashiness or advertisements. 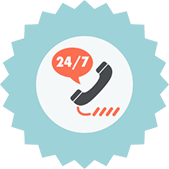 Whenever you have questions, you have access to around-the-clock customer support. The preferred support method is live chat, which lets you speak immediately with a CSR right there on the website. If you have a question or concerns you’d like to express in more detail, email is an option. The website has a built-in contact form, or you can access the email addresses directly through your client of choice. Sunmaker does not, however, offer support by telephone, and the reason for this is unclear. Perhaps it feels that faster, better customer service is achieved through chat and email. The banking system at Sunmaker is highly safe and secure. The cashier supports most common payment methods preferred by European players, such as PaySafeCard, PayPal, Skrill and bank transfers. Sunmaker also supports most major credit cards as well as debit and prepaid cards. There are scenarios where PayPal, for instance, isn’t supported, but even in those cases, there are many other e-wallet options to choose from. An important point to consider is that the deposit method you choose will be the same method you must use to withdraw any winnings. Sunmaker doesn’t charge transaction fees and most options process in real time, but you should check this on a case-by-case basis. 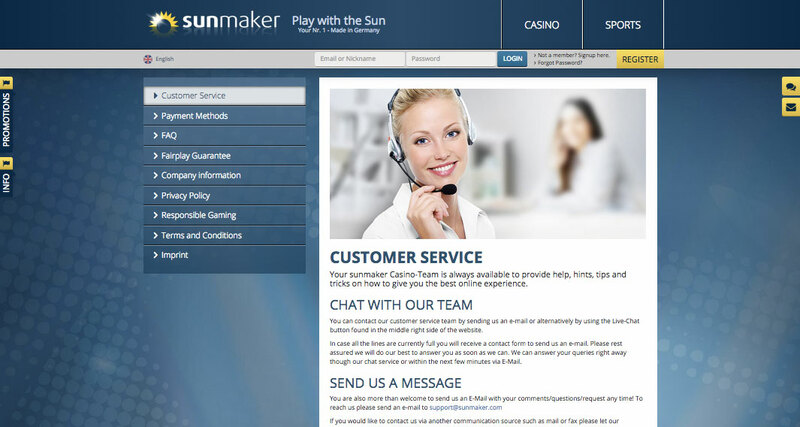 It comes as little surprise that Sunmaker is still regarded as the premier Merkur casino. The straightforward design is a great advantage over the competition. In addition, Sunmaker provides access to Merkur games that can’t be found anywhere else online. 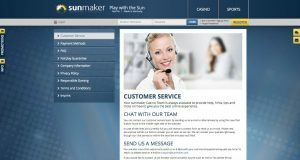 Gauselmann Group’s decision to take Merkur online via Sunmaker is one of the greatest decisions the company has ever made. The consumer response speaks for itself, and players come from all around to enjoy the slot machines and other classic casino games.